When I made the recipe for Turn A Bar of Soap Into Liquid Hand Soap, I was surprised at the number of people who tried it with Dove Sensitive Skin soap. Even more surprising, I learned that although the recipe works for most soap, it didn’t seem to work for Dove. So I tried it again and came up with a recipe to turn a bar of Dove soap into liquid hand soap. There is good news and bad news in this. The good news is for those of you who were disappointed that the liquid hand soap I made isn’t foamy, the Dove version is a lot foamier. In its finished state, it reminded me of shaving cream. And since I added nothing more than water to it, it should work great for sensitive skin. The bad news is that this recipe is less frugal than the original recipe. It uses two bars of Dove Sensitive Skin Soap compared to less than one bar in the original recipe, and it makes far less soap, only about 5-6 cups as opposed to something like 2 liters of liquid hand soap of the original. So in order to get ahead financially in making this liquid hand soap, it’s important to find the Dove soap on sale. You are a genius. Am definitely going to try this. Thanks. did you know that you can skip using the cheese grater with dove? Apparently you can microwave it.. I’m sure if you google it, you’ll find how to do it and what to look for. I haven’t done it yet, but will do soon. It turns into foam and then when it cools it can easily be mashed into a powder.. or from what I’ve read. good luck! If you’re using dove soap bar, shouldn’t the hand soap be able to be used as a body wash as well?? I tried making liquid soap from your earlier, but it turned out very slimy…. I was wondering if this soap would turn out slimy as well since the picture you posted at the top doesn’t look too slimy? I really want to know how to make it not as slimy since I have a lot of soap from traveling. I read that I could use a beater, but I just don’t feel comfortable using it since I am worried that there would be residue left on it. Using bar soap has been quite bugging for me, so today I picked my iPad and googled “how to turn bar soap into liquid”one of the returns brought me to ur site. Thanks for the good work. I would like to know however if this could be done with a medicated soap without messing up with the original composition of the soap. I would like to try this with a 120g Thetmosol bar. Do you think I should adapt the recipe for dove or try another formula. I really can’t wait to get this done. Looking forward to hearing from you. I just made this with some Dove soap that I got as a Christmas Gift. It was the cucumber and green tea moisturizing kind I believe (recycled the boxes and forgot to keep one). I didn’t have access to a grater (I know crazy) so I just chopped REALLY small and seemed to work fine but I wasn’t sure if going to melt completely smooth so when it was all soft I threw it in my trusty blender and it came out WONDERFUL!!!! I don’t know if this might help the ones that are saying it seems watery or not but it sure worked for me and my 5yr old said it is the coolest soap ever!!! I tried this today with regular Dove soap. The recipe I had called for one bar of soap to one gallon of water and 2 T, glycerine. I melted the spoap flakes and the pot sat all day, but the liquid never got thick. I cut up another bar of Dove and melted that in tonight. I’ll let it sit till morning and see how it looks. I’m hoping it will thicken and that the mositurizing ingredients in the regular Dove soap aren’t a problem. Kathy, since you are using a completely different recipe than the one listed here, I’m not surprised it didn’t work. Try leaving a bar of soap in the shower. It will get softer the more you times it gets hot and humid – then put pieces of the soap into your pump with a little added water. Swish around once in awhile and watch it melt….no need for any fancy equipement except for a funnel. I just made this and it is wonderful. I diluted it 3-2, liquid soap to water and put it in a foaming bottle. I have found that you can use just about ANY soap, including the beauty bar types like Dove (regular or sensitive skin). You can also substitute for glycerine using olive oil. All the glycerin does is act as a binding agent and gives the soap a “surface tension” that helps bind to the dirt and germs on your skin so that it slides off in the rinse water. Rinsing is what really takes the dirt and germs off -not necessarily the soap or strength or “soapiness” of the soap. I use a REALLY frugal method of making hand soap and body wash from store-bought soap bars. I save the slivers of my Dove soap -which is way too slippery to hold on to when it gets down so far – and I put them in a little plastic container (any will do). I let them dry out before putting them away. When the container is full (about 2 cups worth of soap slivers), I heat water to boiling then slide in the soap slivers which dissolve instantly, stir, add the olive oil and a couple capsules of Vitamin E, any essential oils I want (although Dove doesn’t need any), and voila. The soap will thicken quite a bit and ooze out of your soap dispenser unless it is completely cooled and checked for desired thickness. Honestly it is not rocket science, and everyone can come up with a workable recipe just by messing around with the water content. I always start with 4 cups of water and 2 cups of soap slivers -more or less – but I usually add more water when the mixture cools. Last time, I got almost a gallon from 2 cups of leftover soap slivers, and I am still using it 2 months later, and I wash my hands a LOT! My son who gets eczema on his hands uses it, too, and I am using it for body wash for him as well. Another great eczema-fighting and sensitive skin soap to use this way is Yardley. Smells YUMMY! My experience has been to start with a recipe, then experiment and come up with your own way of doing it. Converting bar soap to liquid hand soap and body wash is almost foolproof. I’m sure the boiling water is killing any germs that might be on it. Not to mention the weeks and months of drying. Boiling water does not kill all germs or bacteria. Depending on where you work and what you encounter I would most definitely not be using left over soap. Just made this yesterday morning after searching for a quick liquid handsoap DIY using Dove soap, since I had a hunch the recipe may differ from others. It worked out great! Thickened to a gooey consistency within 6-8 hrs, but I wanted to wait till this morning to use it. I have it at 2 different sinks for hand washing and poured the rest in a reusable pump for shower “gel.” I watered the shower gel a bit and now wish I didn’t as I now need to use 3-4 pumps to scrub down. Oh well! I used the Dove Revive pomegranate soap. Thanks for the post! For those of you wondering if the microwave will work, as a previous poster suggested, someone who tried it commented on this link (click the Reviews tab) and Dove was the only one of 4 soaps she tried that didn’t expand. I was going to try microwaving the Dove bars to save myself grating time, but it sounds like grating is the way to go. I’m considering doing it in my food processor, though. Oops! Here’s the link: http://www.stevespanglerscience.com/experiment/soap-souffle to the microwave soap experiment! I love making my own soap. I haven’t tried the hand soap as of yet, but I do make my own laundry soap (dry and liquid). I saw a previous post about the use of medicated soap but no response. I too would like to know, My daughter uses Clinique and their soap is awkward and very difficult to use when washing her face. AND Yes I know Clinique makes a face wash but it is a few dollars more than the bar and the bar last much longer. I don’t want to use anything that will make her face oily. I bought dove soap today to use to make the soap, but I tried it with the original recipe. I thought “this isn’t working!” so I went to check the comments to see if I was the only one only to find the “Dove recipe” when I scrolled down an inch. Duh! Anyways, the concoction is really liquid-y, but still super soapy. It’s all going in my foam soap dispensers so I think in this case it will work just fine! Thank you for savvy recipes! I made this yesterday with Dove for men soap. I followed the recipe and mine never thickened up. So today I put it back on the stove and added another bar of soap. So, far it is still not thickening up. Worked great and I put it in one of those foaming soap containers and watered it down. This batch should go a long way. Thanks! Regarding Eve Stewart’s method – the germs that might be on the slivers of soap are her and her family’s germs in the first place, so I wouldn’t worry too much. Saying you shouldn’t use it again is like saying that you shouldn’t wash yourself with the same bar two days in a row. I do agree about “A”‘s comment though – boiling water is unlikely to kill bacteria except if you keep it boiling for a while. I wonder a little bit about using olive oil instead of glycerin – in my mind olive oil would be more nutritious for any bacteria that might be in the mixture and therefore they’d be able to grow better and decrease the shelf-life of the liquid soap. But then again, soap isn’t the best place for bacteria to grow and 2 tablespoons of olive oil to a gallon product isn’t really anything. I used 1 dove soap ( 90g ) and 1 1/2 cup water and that turned out perfect for me. Not to thin and not to thick. Just what is ’4 c’? Speak English! I imagine it is a cup, but, what size? A Cup is a standard unit of measurement. It doesnt change size. If it’s so confusing for you, you can always Google what the measurement would be the equivalent of in the metric system. This turned out great. I used 1 bar of Dove sensitive skin and 1 1/2-2 cups of water. Once it cooled off overnight, the consistency was great! I will definitely make this again. Much cheaper than buying the bottles of Dove liquid soap. Thanks for the recipe! It is also like saying that you need to provide a separate bar of soap for each person/family when you have a party and it should be thrown away afterwards. Also, your friends should do the same when you go to their house. Og, btw, don’t touch ANYTHING in their house (not even door knobs when you leave)…germs are everywhere! Use common sense and don’t be so paranoid. Healthy bodies take care of themselves very well, especially if they have been exposed to various germs and built up natural immunities. I don’t know what to do, it’s very liquid. Soneone asked what Dove was made off. I Work for Lever brothers that’s what it was called in the US in the 80s whille in college it was a summer job in 1982 in Baltimore. my father works there at the time which is how I got the job.. I made dove soap and caress the only difference between the two was caress soap use’s mineral oil. The other ingredients at that time was Lux soap,and a synthetic ingredient called Defi which was slimy when finished. It was heated and mixed then rolled on a large metal chiller then came off in chips then pressed Into bars. Thank you for posting this recipe! I reference it anytime I need to melt Dove Sensitive Skin soap, which I actually use as a face wash! Like others above, I only do one bar at a time and add only 1.5 cups of water. It’s perfect! I absolutely hate bar soaps because of the nasty film feeling and the mess it leaves behind. After the age of 45 I suddenly started to experience Acne. My dermatologist told me that the only way to control this is to use Dove Sensitive Skin bar soap. I never thought in a million years that I would have to go back to bar soaps again. Thank you so very much for posting this information. I did exactly what you instructed (1 Dove Sensitive Skin flakes to 1.5 cups of water) and it turned out perfect even the consistency is great. I am “extremely happy” with the results. I still have to buy the bar soap but I don’t have to worry about the soap dish mess again. For anyone that is concerned about germs, the factory that manufactures your products that you use everyday are filled with “germs”. To build immunity, you must first be exposed to germs. If you are concerned about the method and germs, don’t do it. Good luck. I finally made my liquid handsoap. I used yardley oatmeal & almond that i got from the dollar store for $1.00 bar. I use my mini kitchenaid chopper instead of grating for this and laundry det. It was very watery at first, but did resemble jello after a few hours. It smells ok, but does smell like “soap”. I use dove so i am not use to the “soap” smell, guess i’ll need to get almond essential oil or extract. Any suggestions? Next time i’ll use castille, glycerin & lemon e oil. I think that will smell so nice & fresh especially for the kitchen. Thank y’all for all the comments & the recipe. God bess you! Dove is not a soap chemically talking and it is not written “soap” on the box. Soap have a specific receipe than make the skin more “dry”. 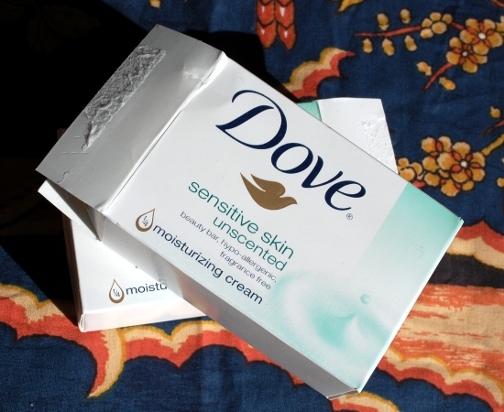 If you use Dove your skin will be more soft because it is a kind of moisturizing cream (written on the box). Its why you dont have the same results as with real soap. Glad I found this link maybe this will work better then the last deal of soap I made. This is what I did to make mine and it’s like water. Turn on medium-low heat and stir until the soap dissolves.Let the soap cool completely, then pour into containers using a funnel and that’s it well it sure wasn’t it :). I just want it to be a little thicker like you would get in the store. Hi,tried it with one bar.It was awesome.I use it as hand wash.Hands feel so soft.Will be making some more for gifts.Thanks for sharing your idea.God bless you! this is so neat! My sister-in-law makes all her laundry soap,liquid and dry. she is a real thrifty lady. She makes bulk seasonings, hot coco mix and many things. She will love this. I’m sending her this recipe. I know she will make it right away. Thanks for thr great recipes for both kinds of liquid soaps. I am making this for stocking stuffers for christmas! If it smells like crayons, must be beeswax in it. 4c is the abbreviation for 4 cups. A cup is a standard American measurement equal to 8 ounces. 4 cups is the same as a quart, which is just a little less than a litre. I hope that helps. It works great! I love it because we get such dry skin here and this is perfect! Lever 2000 soap bar (another Unilever brand like Dove): used 2 4oz bars,10 cups of water, and followed the Dove liquid soap method. Shea Moisture African Black Soap bar: used 4oz (i.e. 1/2 a bar) and followed the other soap recipe but omitted the glycerin b/c it’s already incorporated into the bar. I was able to achieve a nice consistency of liquid hand soap for both soap bars. Thank you for the tip. I made this, this week (the first time I have ever made liquid soap). I have pretty sensitive skin and recently found that the Dove Sensitive Skin (Unscented) was relatively gentle on my hands and body, so I found this recipe and tried it. It worked GREAT! Very creamy! I am totally impressed! I made the dove soap but used a recipe that called for one gallon of water and one bar of soap. After it sat 12 hrs it was too watery so I put another bar of soap in it and it was still too watery. I put it in a gallon jug about a week ago. Can I still add more soap and heat it up again or should I just throw it out and start over? I do this with the Dove bar soap all the time! I have VERY sensitive skin and it’s the only thing that works. Costco sells a 14 or 16 pack for 12-16$. Coupons can also be found in many local mailers. In the summer, I put the water and grated soap flakes (un-dissolved), in a glass mason jar or wine bottle and set it outside. The sun melts the soap flakes and I’m not spending anything on electricity or gas! No messy pots or bowls to clean up later! Someday, when I get brave enough, I’m going to add oatmeal and/or honey to the mix. Happy soaping! what about other types of Dove? What recipe should I use? Just made this yesterday and it worked great– love it!! Thank you for posting! Our tap water is hard water. Should i use soft water when i will dissolve the soap flakes in the water? I used an old food processor I purchased at a second hand shop for $4. Quick grating!